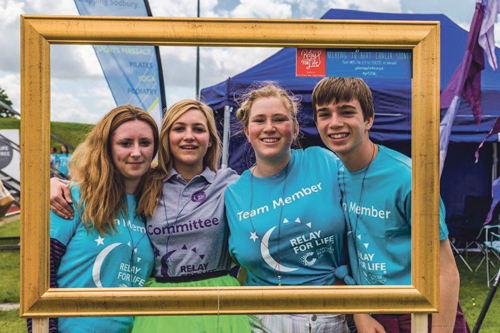 Scores of teams have already signed up for this year’s Relay for Life fundraiser in Yate. The Guests of Honour are invited to take part as a VIP, to lead the festivities with the Survivors lap and complimentary lunch. This lunch is provided by Yate Athletics Club, who host the event at their grounds at Yate Outdoor Sports Complex. The event is looking for a main event sponsor to help cover the running costs for the weekend.